Connected Business tablet and computer with green screen. 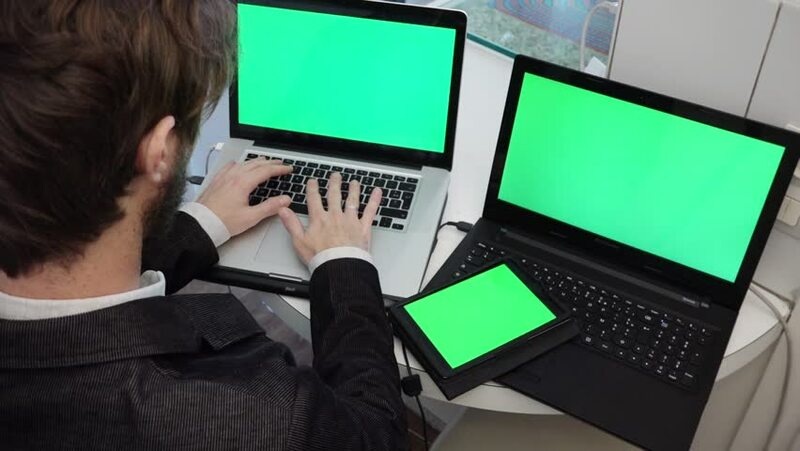 Man works with two computers and a tablet, all with green screen. hd00:31Green Screened Computers - Online Worker. Guy works with two computers and a tablet, all with green screen.